Polling has begun in three Lok Sabha and two assembly seats in Karnataka which will be seen as a litmus test for the Congress-Janata Dal (Secular) coalition in the state. Both alliance partners have fielded joint candidates in all the seats. The JD(S) will be contesting the Mandya and Shivamogga Lok Sabha seats and the Ramanagara assembly constituency, while the Congress has put up candidates in the Bellary Lok Sabha seat and Jamakhandi assembly seat. In Ramanagara, the JD (S) has fielded Karnataka Chief Minister HD Kumaraswamy's wife and JD(S) nominee Anitha Kumaraswamy. 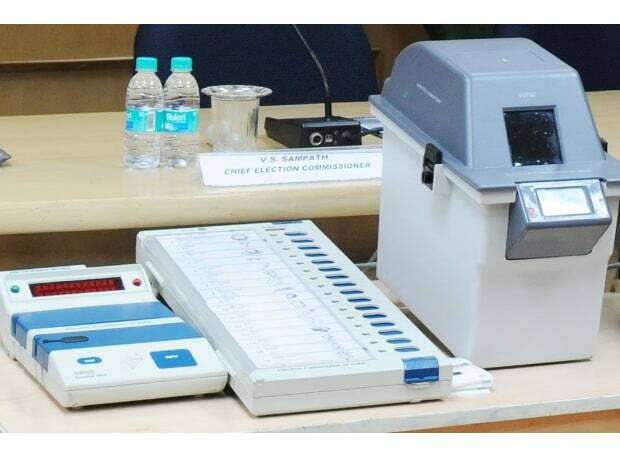 The by-poll was necessitated after Kumaraswamy, who contested on two seats - Channapatna and Ramanagara - in the assembly elections earlier this year, decided to resign from Ramanagara. The Shimoga Lok Sabha seat fell vacant after former chief minister BS Yeddyurappa decided not to contest the assembly election from Shikaripura. Yeddyurappa, who cast his vote earlier today, told media that he was confident of his son, BS Raghavendra, winning from Shivamogga, which is known as the bastion of the BJP. "101 per cent my son (BS Raghavendra) is going to win the Shivamogga seat. We are also going to win Bellary and Jamkhandi. We will get an absolute majority in all the constituencies," he said. Another region which is considered to be the stronghold of the BJP -Bellary - is also witnessing voting today where BJP leader B Sreeramulu's sister Shantha is in the fray. The seat, which is reserved for Scheduled Tribes, fell empty after the resignation of Sreeramulu. The Mandya Lok Sabha seat fell vacant following the resignation of JD(S) lawmaker CS Puttaraju, who was elected to the Melukote constituency in the assembly elections and became a minister in the coalition government. In place of Puttaraju, the JD (S) has fielded LR Shivarame Gowda, who will be contesting against BJP candidate Siddaramaiah, who is said to be a newcomer. In Jamakhandi, Congress has fielded Anand Nyamagouda, son of senior leader Siddu Nyamagouda, whose sudden demise in a road accident on May 28 necessitated by-polls. Meanwhile, the BJP has fielded Srikant Kulkarni. Results of polling will be declared on November 6. The terms for the Bellary, Shimoga and Mandya seats will be extremely short with the Lok Sabha elections due next year.